Wrap it up and seal it with a kiss! 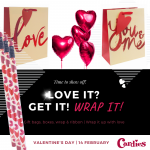 Get all the wrapping goodies you need to make sure your gift glows with love! 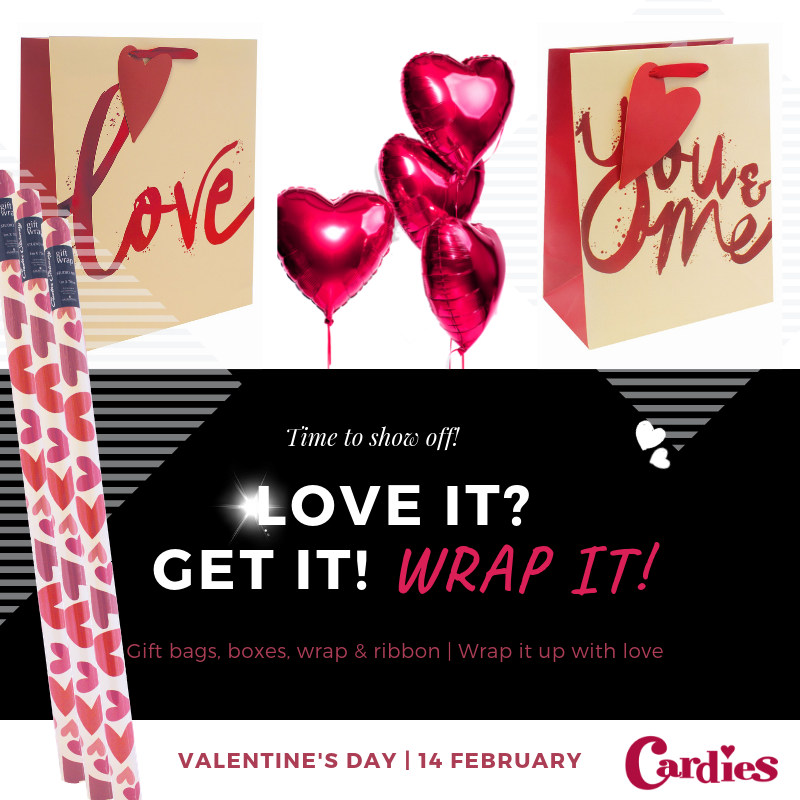 Visit Cardies at Northgate ahead of this Valentine’s Day for a beautiful variety of gift bags, boxes, wrap, cards and gifts!